I personally like the random chances, and also like the idea of being able to pick whether you research tweaks on existing tech, or try for a breakthrough. That way you can decide if you want to advance in your current general tech direction (breakthrough), or start in a somewhat new direction (tweak). One is for big changes (tweak), while the other makes small changes (breakthrough). One makes progress (breakthrough), while the other switches things around (tweak). Changing things around would have a much larger effect on your tech than additional progress, as you wouldn't make additional progress that quickly. Choosing how much towards one side or the other that you want to research helps define what you get out of it. If you put the slider close to "breakthroughs", there wouldn't be any guarantee that you'd get a boost in, say, weapons damage, but it would help ensure that if you did already have a lot of points allocated into weapons damage, you wouldn't too many even in a worst-case scenario. On the other hand, if the slider was closer to "tweak", it would help you switch things around a lot more than you might get otherwise, so that if your tech was oriented towards weapon range, but you wanted something else, you would have a random chance to change it, and it would help you specialize. Personally, I think I would always have the slider at one of the end points. A period or two of fishing for breakthroughs, then some optimizing things by pure tweaking so they match the needs of my fleet. I just don't see the use of the middle ground, unless it has a better overall research productivity than switching between the extremes. Hmm, good point. I just suggested the slider because it seemed more appropriate for LT than "choose A or B". Rabiator wrote: I think small changes with equally large drawbacks as demonstrated in Update #17 should not be random, but the player should be allowed to pick a trait he wants to push (at the expense of other traits). A nice practical aspect would be that the cargo hold does not fill up with "rubbish" blueprints that went in an undesirable direction. While (as you might guess from my initial comment in this thread about the research mechanic seen in Update #17) I see the value in letting the player have more input into research results, I do have some questions. 1. Here's what I think I'm reading: the difference between the research mechanic Josh showed us and this proposal is that in Josh's, we don't get to pick which two attributes of a technology are slightly randomized, while in this one we can always select exactly which two attributes will be altered. Is that a fair description? 2. If so, doesn't the non-Joshian research mechanic lose some of the interesting "surprise" that Josh was trying to design into Research? As I said in my earlier comment, I'm a little underwhelmed by defining surprise as getting some random numbers. So I approve of the suggestions in this thread. But I don't think I'd prefer a system that eliminates so much surprise, where you're able to pick exactly which attributes are going to get a bonus and a penalty. There's not really much interesting terrain to discover there -- it's essentially a production system, which is much more of an Achiever form of play. I don't object to Achiever gameplay, but I think there'll already be plenty of that in the Production gameplay itself. I'd like to see Research be more about the conscious discovery of interesting structure -- not purely random, but not overly certain, either. That's why I suggested the idea of sub-technologies interacting at deep levels to open up new kinds of technologies. That's an information landscape with lots of peaks and valleys, which choosing to go in one direction opens up desired vistas while making others harder to see. That way everybody's game is a little different, which means Research is not purely random, but it's also less subject to persistence-focused gameplay mapping every possibility on Day One and documenting it on a Limit Theory wiki. That's just one suggestion for gameplay that is both directed and yet still surprising. I'm sure there are others. I agree with this, too, although I think it would work to simply make it so that you're less likely to change research in new directions, and that the more focused you are on certain aspects of a technology, the harder it is to better other aspects. I really do hope Mr. Parnell takes these suggestions seriously... This most definitely falls under "polish", so we'll hopefully see some of this sometime this month. - "fundamental research", slow and expensive but giving vertical progression when sucessful. The affected attributes are random. - "engineering" where you can pick the trait to be improved, but get no vertical progression. So the answer to 1) is yes, if you are doing "engineering". In "fundamental research", the system will be just like Josh's but you get some overall improvement. The attribute that gets degraded would still be random. "Fundamental research" would retain all of the surprise potential. Flatfingers wrote: As I said in my earlier comment, I'm a little underwhelmed by defining surprise as getting some random numbers. So I approve of the suggestions in this thread. I agree that my suggestion amounts to Achiever gameplay, and I like the idea of occasionally discovering entirely new technology by surprise. 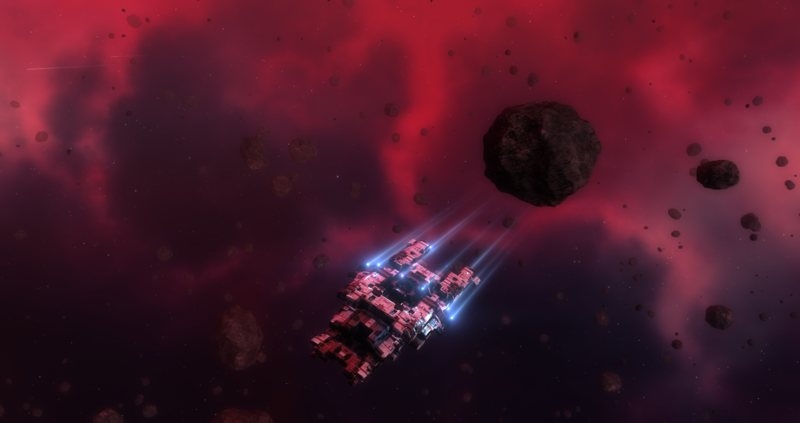 I know Josh is working on algorithm's in June, but I just wanted to say that different factions can use different types of ships that are easy to identify from the outside. FormalMoss wrote: I know Josh is working on algorithm's in June, but I just wanted to say that different factions can use different types of ships that are easy to identify from the outside. While I do agree that ships should be somewhat different based on the factions and faction preference for design, I don't think this should be restricted at all. Designing the system with variance so that factions intentionally choose less than ideal designs for the purpose of player identification seems a tad silly. Assuming that npc's will try to streamline their designs to fit the purpose. Look at car manufacturers in real life most car designs are very similar simply due to the fact that they're all following a similar 'ideal' design. I would say leave identification to other aspects such as IFF. But with this system specialization will be meaningless since you can do a lot of "fundamental research" and then focus "engineering" to make specialized blueprints for every attribute.